If you were to watch Kirsten Johnson's CAMERAPERSON and see little more than a collection of cutting room scraps, it would be hard to argue with you. But I will do so nonetheless. Yes, it's true that the film is assembled out of pieces Johnson shot for other documentaries, mostly for other directors. Among them: THE PROGRAM, DERRIDA, 1971, DARFUR NOW, NO WOMAN NO CRY, FAHRENHEIT 9/11, and many more. But as the old saying goes, the whole is greater than the sum of its parts. On it's most basic, straightforward level, CAMERAPERSON functions as a sort of video diary for Johnson, detailing where she's been, what she's seen, and how it's affected her. 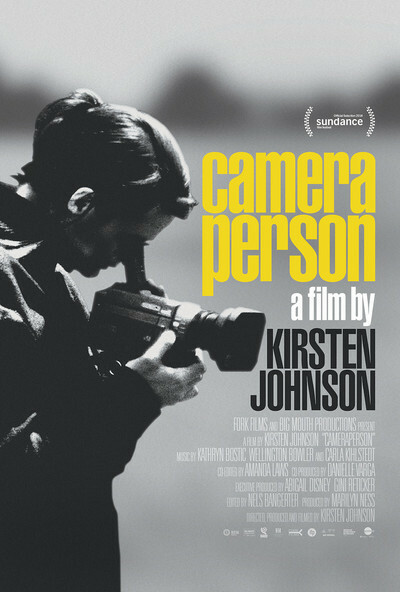 But from the very first scene, in which we see Johnson alter the environment in which she is shooting in order to get a better shot, the film also acts as a sort of meta commentary on documentary filmmaking itself, pointing out how even the most careful and impartial nonfiction filmmaker can't help but influence the reality they are capturing. Johnson also makes a statement in the way she assembles her footage, such a segment at about the halfway point in the film in which we see one example of man's inhumanity to man executed on a grand scale after another. And yet, despite all the horror Johnson has seen, she also finds beauty, even in the mundane. All the while dealing with her own life, which comes with its own mixed emotions as she guides her twin children through life even as her mother slips into the oblivion of Alzheimer's disease. 3 ½ out of 4 stars.